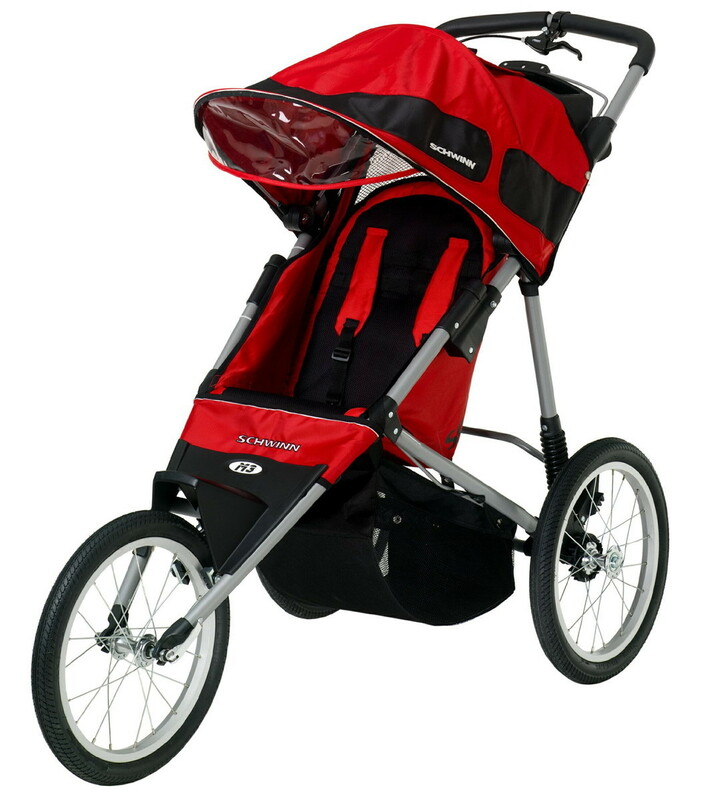 This is the summary of consumer reviews for Schwinn Turismo Swivel Single Jogger. The BoolPool rating for this product is Excellent, with 4.50 stars, and the price range is $140-$207(Based on color). 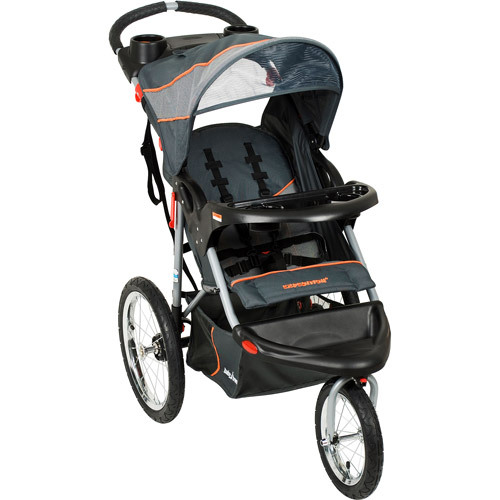 Schwinn Turismo Swivel Single Jogger is great for handling even the roughest terrains while providing comfortable rides to kids. It is equipped with large, easy gliding, 16-inch rear wheels and 12- inch front swivel wheel which can be locked with a button on handle, making it well suited for brisk runs on mixed and uneven terrain by giving added control and stability. The wide tread tires are sturdy and come with real spokes. This stroller is easy to clean and can be washed with soap and water without loosing its colors. Schwinn Turismo is easy to assemble, fold up and store. It comes with a rubberized, slip-resistant, adjustable height push handle. The aluminum frame is lightweight and durable. 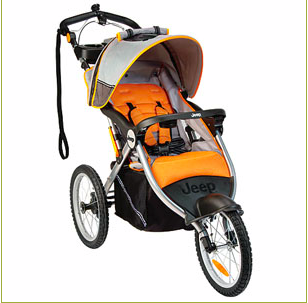 This jogger features strong back wheel and good shocks making off-terrain ride smooth and comfortable. It boasts a large sunshade top which is easy to adjust with one hand. 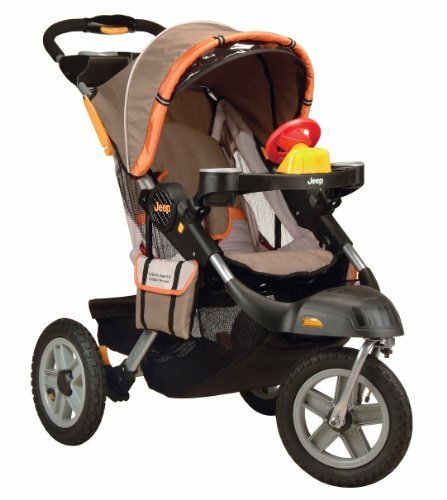 Additional convenient details on this Schwinn jogger include a pivoting, molded child tray with two cup holders, a parent tray with two cup holders and a built-in MP3 speaker that keeps children entertained. It has a large basket underneath for easy to reach storage. Some users complain that stroller tends to veer in one direction and does not go straight when the front wheel is locked. When folded, it may take more space compared to some other joggers. 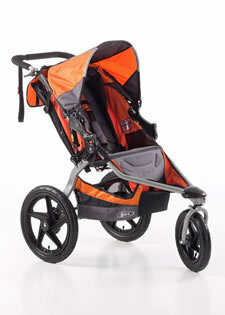 Overall, Schwinn Turismo Jogging Stroller offers many advantages of a jogging stroller at a very reasonable price tag. It is durable, lightweight and provides very stable, comfortable and smooth ride on-road and off-road. 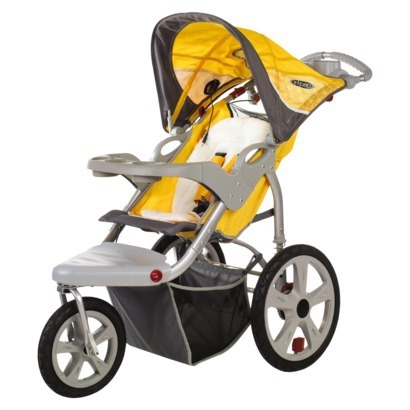 This stroller is highly recommended by parents and they rate it well for its good performance. adjustable handle bar is really nice. It's nice looking and my son seems to really enjoy it. The cushy seat cover is really nice. My daughter loves sitting and holding on to the tray and eating snacks in the stroller, which really helps keep her entertained when we're on long walks. the sun canopy is kind of small, I wish companies would just make really big sun canopies on everything. My daughter is really big and heavy she's a 3.5 years size.. I really love the quality of this stroller and the swivel wheel. And the price is really worthful. I really wanted a jogging stroller because I walk everywhere and wanted something that'd be really easy to push and maneuver. This stroller was easy to assemble, easy to use, and has won over our toddler. Nice material, very easy to maneuver. Switching from swivel to locked front wheel is super easy. Beautiful stroller, functional, durable, and easy to use!! The basket is easy to use. 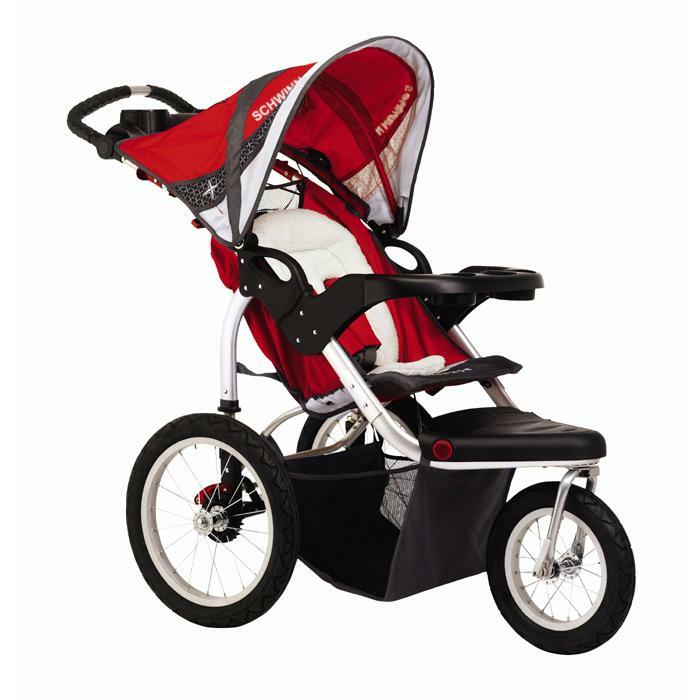 Otherwise, the swivel front wheel and the strong back wheel shocks make this stroller an easy off terrain ride. I think it's put together well, folds down nicely, and is easy to handle. It was super easy to assemble and even easier to use. My 9 month old boy fits so nice, and is nice and secure. Our daughter has loved riding walks and jogs since she was 4 weeks old. 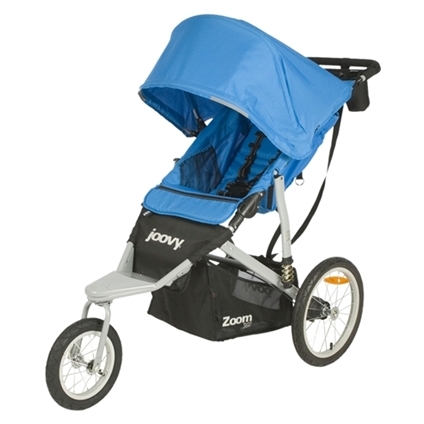 I'd recommend to anyone looking for a good stroller to walk or jog with. 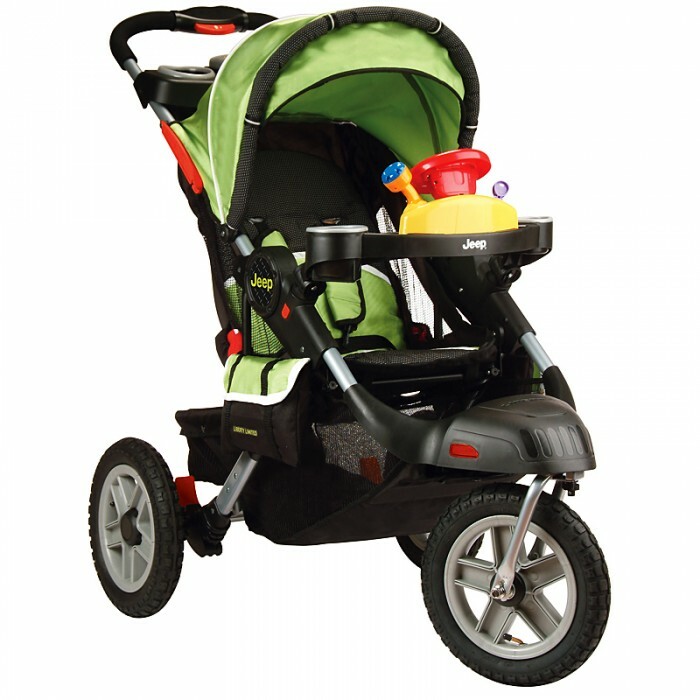 Excellent stroller for walking or jogging. It's nice and solid, was easy to assemble, and my son loves the mp3 speaker. Easy to get around without constantly having to fix the tires, it's nice to have full control when cars are flying by and there's nothing but dirt and rocks to walk on, great handling. Would highly reccomend this stroller to anyone looking for a nice stroller at an awesome price. We do a lot of walking and some light jogging and this stoller is perfect. Rides smooth and is very easy to push. Rides smooth for my son, he falls asleep everytime he rides in it. It rides very very smooth and is easy to push. It's a nice cozzy smooth ride for my little one. It's easy to use and the ride seems smooth for my daughter who's 15 months old. It's a very smooth ride, and is great over bumpy terrain. It offers a smooth, safe and comfortable ride for my son and is overall just a wonderful product. It's sturdy and has a very smooth ride. It gives him a smooth ride and he loves taking snacks off his little tray (something that doesn't come with the BOB). After reading other reviews, I too wish i bought this before purchasing the car seat travel system. The wheels especially the swivel/locking front wheel makes foe a smooth ride, unlock for touring and shopping, locked for jogging. Large storage basket underneath can fit our diaper bag and then some. stroller is great and breaks down well to fit in my trunk. The shade top is really easy to adjust one handed while walking through the neighborhood. Our little one is 5 months old and on the small side, but she fits in the reclined seat just fine. I especially enjoy the adjustable handle height. Milk for him, lots of coffee for me. - Large and adjustable sun shade. My son is a tall baby (he's 15 months and is the size of a 2 year old) and fits very comfortably. My 2 mo. old granddaughter rides comfortable in her car seat that attaches to the stroller. Stroller handles very well with front wheel unlocked. Rides smoothe when front wheel locked and unlocked, no wobbly wheel like another model i just returned. The locking front wheel is nice but for some reason my stroller pulls to the left a little when the front wheel is locked. :) I love how the front wheel can be locked for jogging or unlocked for easy mobility for walking. Front wheel in fixed position turns slightly. The remote lock/unlock on the front wheel is our favorite feature. I like the remote switch near the handle for locking and unlocking the front wheel. My MIL loves how it handles over grass, and bumpy landscape - my hubs and I find the front wheel lock awesome, for when we run vs if we're just strolling, swivel maneuvers nicely. Adjustible height handle and sun shade work well. works great, folds up easy for wife to load in trunk without removing wheels. Great things about this stroller are the ability to lock the front wheel from the handlebar area, a no-wobble front wheel, it's semi-lightweight, sturdy frame, and big wheels. sturdy wheels (front wheel comes off if needed) Wheels have real spokes, not plastic ones like the Jeep Expedition. The front wheel is locked and unlocked very easily with a button near the handle. -swivel front wheel for walking and locked wheel for running--easy to switch between the two. I can lock the front wheel without having to attend to the front wheel. Fixed and Swivel wheel feature. It also folds easily and locks in place. It unfolds and folds pretty easy I just don't do it enough. It folds and unfolds easy enough. We've another stroller/car seat combo and the car seat with that fits pretty well into this one. It's easy to adjust in regards to shoulder straps and seat recline. I'm sure most infant seats would also work as well. My double jogging stroller folds nearly flat and fits in my trunk better than this one. There's also a little covered box in between the handle bar cup holders (presumably to store an iPod, or phone) but iPhones don't fit in it, nor to Blackberrys. The wheels pop off so easy.